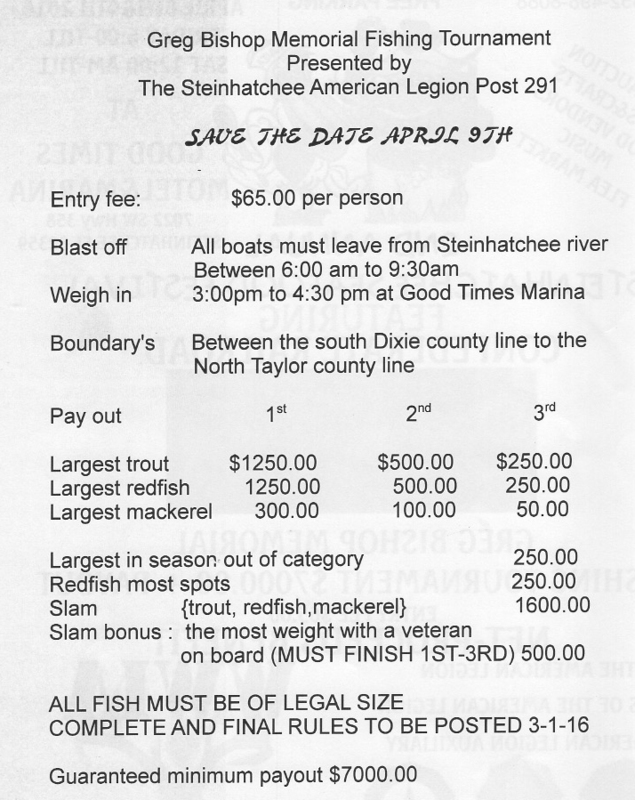 This year’s Greg Bishop Memorial Fishing Tournament is a featured part of the 2nd Annual Steinhatchee Seafood Festival. The festival, hosted by Good Times Motel and Marina, begins on April 8 and the tournament is scheduled for Saturday, the 9th. Expect a big crowd, as there’s $7000-plus in prize money available.